A passion for creating quality and affordable natural bedding. 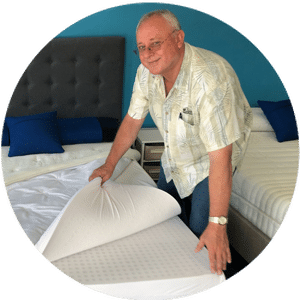 Coming from a family with an exceptional heritage in the bedding industry in South Africa and Australia, Jeff brings a wealth of experience to The Zenna team and is excited to realise his vision of an affordable, 100% natural latex mattress that is more comfortable than products costing many times more. He co-founded highly successful Sydney-based analytics company Dynamic Decisions Pty Ltd, which ranked 26th in the BRW Hot 100 before being acquired by NASDAQ listed Applix Inc. Since then Jeff has worked with a number of successful enterprises. 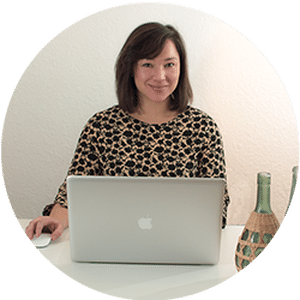 Bryony Cabang uses her considerable design and web building talents to make Zenna dreams a reality on the world wide web. All things IT fall within her virtual realm. In her spare time she tries to spend as much time as possible on her Zenna – she is never truly off duty. Dave’s life passion is providing sleep solutions through the mattress industry for domestic and hospitality sectors. 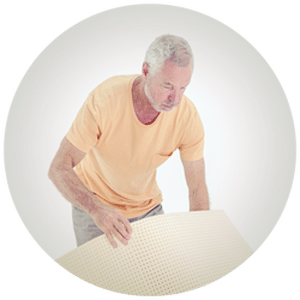 His wealth of knowledge and expertise has been gained over thirty years of which twenty years working in mattress factories in senior positions. He has great experience in leading international mattress brands, research and development, manufacturing methodology, marketing and customer service.